ATTOOR. AUG.27: The White Memorial Homoeopathy Medical College proposed a new building for the administrative block. 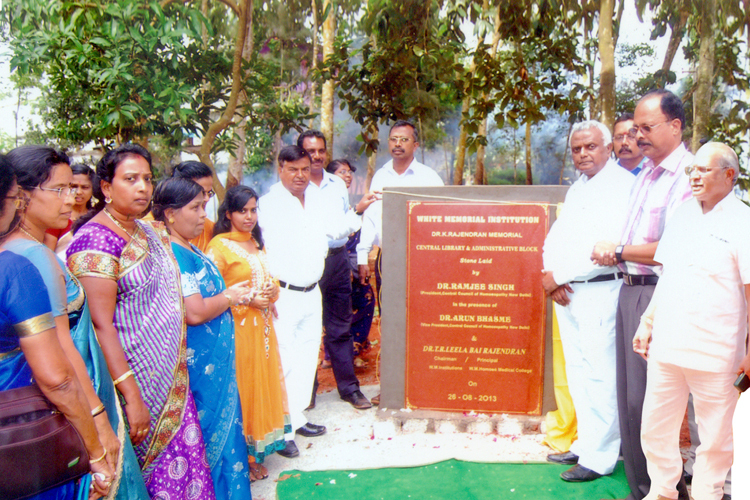 Dr.Ramjee Singh, President, Central council of Homoeopathy laid the foundation stone. Dr.Arun Bhasme, Vice president, CCH, Dr.M.K.Shani, Chairman Education committee also participated. Dr.Leela Bai, Principal Dr.Judith Rajendran, faculties, students welcomed the guests.